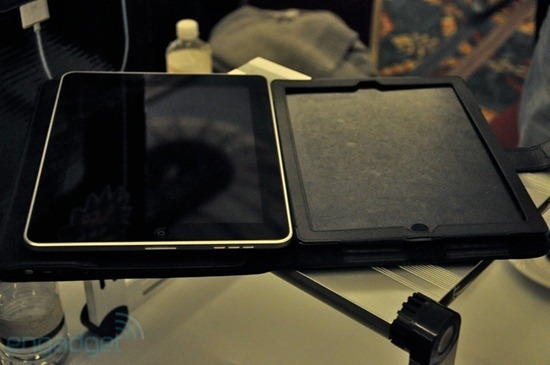 A Mockup for iPad 2 has been spotted at CES inside an iPad 2 case which shows slimmer design and dual cameras, one on the front for FaceTime calls, and one on the back for taking snaps. 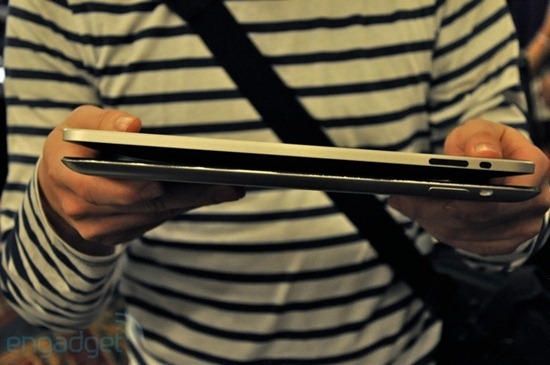 Interestingly, the case design also involves a separate Bluetooth keyboard which allows for notebook-style computing. Folks at Engadget weren’t aware that what they are looking at is possibly the case for Apple’s next generation iPad until they asked if they could slide down their own iPad inside. 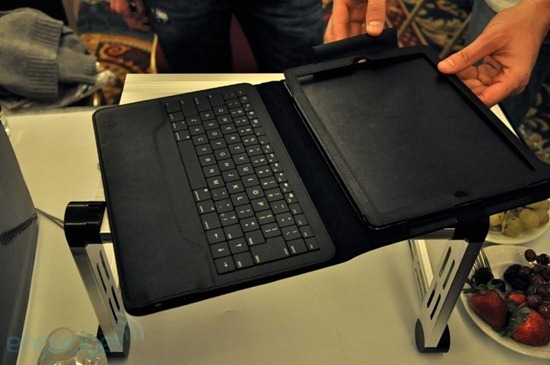 The exhibitor of the case, Dexim, responded that it wouldn’t fit, since the case was designed for the next iPad.